A relaxing and calm environment, where we can contemplate together your journey and discuss confidentially the circumstances you wish to change. My name is Georgina Cardo, I am a trained and registered psychotherapist based in south Manchester. 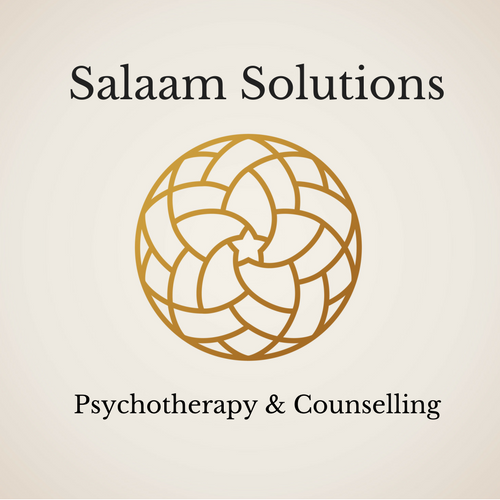 Since 2014 I have been counselling women and couples from many different backgrounds, religious and non religious, English, Asian, Arab, mixed. My clients tell me they find me easy to talk to and can really open up about subjects that they would otherwise feel shy of or are often seen as religious/cultural taboo. My approach can be especially helpful for second generation Muslims or non religious British who are seeking a spiritually purposeful and religiously curious outlook on life. Common concerns I often meet with clients are relationship difficulties, identity issues, depression, anxiety, low faith, spiritual and religious questioning, abuse, loss and other issues. Everyone is unique and has their own experiences of life. I am here to listen, not judge and respect your beliefs and experience. Inspirited Minds is a faith based, voluntary mental health charity located in London that launched in 2014 with the aim to raise awareness, combat stigmas and provide professional, non-judgemental, confidential support to those with mental health illnesses. Offers online courses and weekend seminars on Quranic self development. Salahadeen Al Ayubi Mosque (Manchester Islamic and Cultural Centre) was established in 2011 and based in South Manchester, UK serving the needs of the local community.